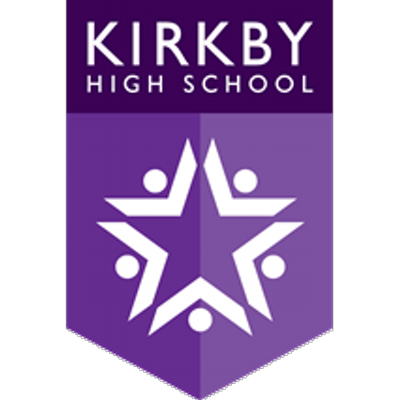 Throughout their time at Kirkby High School, students are taught English in ability groups. Teaching focuses on developing the key skills of reading, writing and speaking and listening. In Key Stage 3 (Year 7-9), dependent on need, students have either 4 or 5 hours per week of English and homework tasks are regularly set. Homework consists of written tasks, reading, research, and revision. Students in Key Stage 4 (Years 10 and 11) are working towards two GCSE qualifications: English language and English literature. They follow the EDUQAS exam board. From academic year 2017/2018, GCSE English literature will be taken at the end of Y10 and GCSE English language will be taken at the end of Y11. Students have 4 lessons per week and homework tasks are regularly set. Homework consists of written tasks, reading, research, and revision. Assessments to track progress are set regularly throughout each half term. Students are expected to complete independent revision alongside set homework.